There has been a lot of media coverage about the Winter storms and the damage they have caused here in Cornwall. Whilst we know that some businesses have been badly affected the vast majority of the county has thankfully remained unscathed. 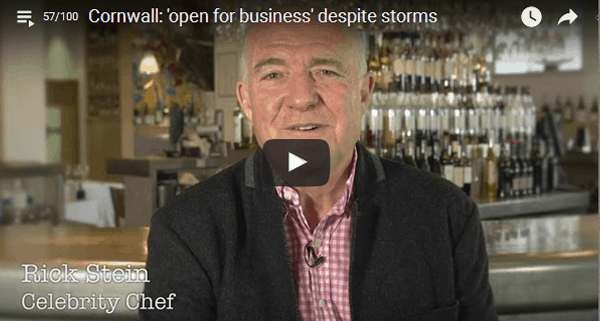 Visit Cornwallhave put together this little video letting people know that Cornwall is very much still open for business. In fact our waterside location makes for some spectacular storm watching, albeit from the safety and warmth of the hotel.